Sophfronia Scott and Susanna Childress graciously agreed to curating this year's essay series. Sophfronia contributed an essay to last year's series and Susanna helped us launch the press with our first chapbook. Below are thoughts on this series. I was excited when Awst asked me to co-curate this year’s anniversary series with Susanna Childress, especially when I learned our focus would be religion. I saw it as an opportunity to open windows and bring fresh air to a topic that can be so closed up. We can’t discuss it in polite conversation and if we do it threatens to become a source of division rather than a source of ideas and renewal. It’s as if our society has put religion in a box full of restrictions, and these restrictions are often limits we’ve created ourselves with small minds and little imagination. The popular phrase these days is “I’m not religious but I’m spiritual.” But I wonder if the ones who use it truly understand the richness they are missing out on when they seek to separate themselves from what can be an important aspect of their spirituality. Why does it have to be one or the other? Why can’t you be both? These words tell me the way of the spirit is expansive, hugely so. And we are meant to be just as expansive when we seek God in whatever form. Our essay series explores this expansion, seeking those glowing areas where religion and spirituality can go hand in hand, one feeding the other. We have a powerful group of writers, all pursuing spirituality in various faiths. They dove into the subject and came up with a fullness of expression touching on the ritual, the spiritual, and the visceral, showing us what faith looks like as it shows up in the everyday of regular life. The poet and mystic Rumi wrote, “Out beyond ideas of right and wrongdoing, there is a field. I will meet you there.” In reaching for their higher thoughts, our writers represent religion to be as expansive as an open field, a place of engagement and not a limitation or close-mindedness. I invite you to meet us all in that field. I hope you’ll find the work challenging and inspiring. I hope it brings you to think outside the box and find the space in which you can engage with belief in whatever shape it takes for you. Enjoy the journey. The theme for this year’s anniversary series is a hot-button issue. In fact, it seems like it could be the answer to a sloppy riddle. What divides as much as it unites? Of course no hot button issue is as straight forward as it seems, and riddles often elide complicated truths; faith is not (always) the same as religion, and perhaps it is religion that’s the hot button here, religion the riddle’s answer. Perhaps faith is more elastic, more porous, more nimble a term—or concept, or world, or realm. Our essayists wrestle with religion. But their true subject matter, every time, is faith. Several essayists here convey their coming of age, choosing faith, as it aligns or forks away from that of their family of origin. Several essayists here have occasion—by external or internal stimuli—to examine their faith, to let it seep into their understanding of and reaction to life experiences. And, true to life experience, this is rarely, if ever, quick or simple or easy. The writers here contend, as thoughtful purveyors of faith are obliged to, with heavy and unwieldy truths, with layers, mysteries, labyrinthine paths toward growth or stillness or hope or help. Sometimes, all of these at once. And so it is that Sophfronia and I present you with a group of writers whose bravery is not sloganeering but quiet, whose realizations, even half-realized, are hard-won. Writers who, by example, refute Marx’s disparaging assertion, that they, like all those around them, are drugged by their religion. Maybe that is because it is faith that propels their inquiry and longing; though they are often working within traditional religious frameworks—Judaism, Buddhism, Islam, Christianity, Hindu—their courage is more visible in the moves they make towards the dangerous inconvenience of the unknown, the letting go, as in Thoreau’s suggestion that, as writers, “we must walk consciously only partway to our goal, and then leap in the dark....” Perhaps, then, they are more equipped, as writers, to launch out in matters of faith. Perhaps it is because they first learned to do so in matters of faith that they can fling themselves into darkness as they write. Either way, what they offer is varied, unhurried, and, perhaps most notably, no opiate for what ails, while still being rich and generative, simultaneously stimulating and soothing. Perhaps that, readers, is the real riddle. Sophfronia Scott finds herself in the stunning but gratifying position of having three books being published in the next six months. Her latest novel, Unforgivable Love: A Retelling of Dangerous Liaisons, from William Morrow/HarperCollins, hits shelves on September 26. She also has on the way a memoir, This Child of Faith: Raising a Spiritual Child in a Secular World, co-written with her son, from Paraclete Press (December 2017), and an essay collection, Love’s Long Line, from Mad Creek Books/The Ohio State University Press (February 2018). See more at her website. Susanna Childress has published two books of poetry, Jagged with Love and Entering the House of Awe, and also writes short fiction and creative nonfiction. She makes up one half of the band Ordinary Neighbors, whose music is based on her writing, and teaches at Hope College in Holland, Michigan. "If I’ve learned nothing else in the past fifteen years of inviting the homeless to live with my family, it’s that we’re not here to fix the world. It’s tempting to believe otherwise,.... Evangelicals are the great hope of the world, we’re told. We have the Good News. We’re here to change your life. No, wait, sorry: we get ourselves confused with Jesus all the time." "To those taught that with enough perseverance and labor, they can shape the world to their will, this insistence that you must accept that-which-is infuriates. You cannot read acceptance as anything other than capitulation, a giving up which is a giving in, a passive resignation. For what is healing that cannot cure illness? What is love that cannot uproot injustice? The options seem stark: be the savior or be the victim. But this is a false dichotomy. If you cannot control outcomes, it isn’t because someone else is doing so in your place, but because no one can. That-which-is is really that-which-is-unfolding-always-already. "I returned because no matter how hard I tried to convince my mind that faith was baseless, all the rest of me never stopped believing, not my heart or my body or that ocean of being within us—the soul, I suspect—which, in its depths, connects us to each other and to everything else." "My family, by discouraging the religious path, tried to save me from the all-consuming nature of bhakti devotion and knowing my disposition somewhat better now, I think I might have drowned in spiritual study. They would have lost me, in some way. Perhaps. 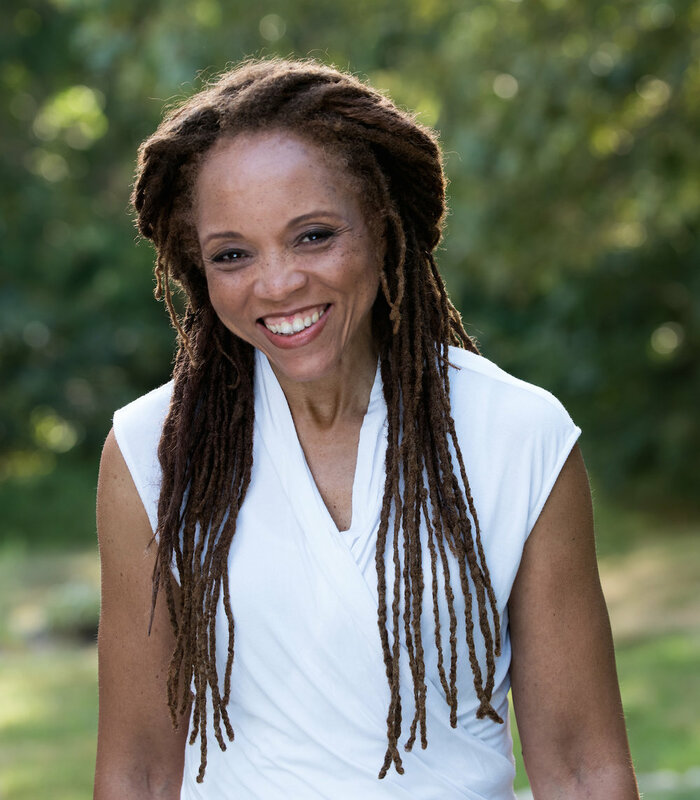 Creating a personal spiritual discipline of practicing meditation, writing with devotion, and attending yoga teachings allowed me to finally connect with my religious tradition in a way that didn’t provoke my mental restlessness and resistance." "The three dimensions of Islam include belief, ritual practice, and the effort to improve one’s character (Jihad)—which is perhaps the most misunderstood dimension. Jihad simply translates into ‘struggle’. The ‘greater’ Jihad is this spiritual internal struggle within oneself to improve one’s character. The ‘lesser’ Jihad can be understood as an external struggle in self-defense when attacked." "But I did not grow up in these rules. So they are esoteric, they are contraband, they are radical, they liberate me from the drudgery of infinite small choices, the burden of meaning-making, the alienating loneliness of being twenty-two, a writer who has stopped writing, knowing the way I have been living is not enough, hungry for a life that touches other lives: not just those who happen to be alive at the same time as me, but those beyond the wall of time—humans, in their bodies, their costumes, made more human to me by the distance between our centuries and the similarities of some mysterious combination of genes and destiny. " Sophfronia and Susanna share their thoughts about this year's essay series.